Have You Ever Found Yourself Mesmerized By The Sheer Beauty Of Concrete? Did the intricate and elegant designs leave you stunned? Exposed aggregate delivers a beautiful concrete finish and can be moulded into pretty much any shape. There is a good chance that you’ve seen exposed aggregate concrete at least once, but you may not have realized it at the time. Below, you’ll learn more about exposed aggregate concrete and its perks. First and foremost, you should know that exposed aggregate is not a type of concrete or material. Instead, it is a unique method of laying concrete. To achieve exposed aggregate, the surface layer will be removed to make the mixed-in aggregate visible. The aggregate itself can be mixed directly into the concrete or it can be laid onto the surface at a later time. This method of laying concrete is surprisingly popular, but used primarily for walkways, driveways and patios. To achieve stunningly decorative walls, these techniques can be used with vertical surfaces. It can also be utilized in this manner to create sound barriers. Attempting to expose the aggregate correctly requires precision. The rule of thumb is to expose only a one-third of the diametre of the aggregate particle. This will help to ensure that the aggregate does not become loose. There are numerous ways to expose aggregate. Brushing and blasting are two possibilities. You can also use certain chemicals. Using the brushing method is often best for beginners, because it is so simple and straightforward. Just spray the newly laid concrete with water and give it a scrub with a broom. Stop when the aggregate is exposed sufficiently. Blasting requires the use of sand or shot blasting to remove the top layer of the concrete. Chemicals, such as sorbitol or sodium gluconate, can also be used to significantly slow the setting process. In return, this will give the contractor another day to remove the top layer. There are numerous reasons that exposed aggregate concrete is so popular. One of the most notable is the fact that this type of concrete requires little to no maintenance. 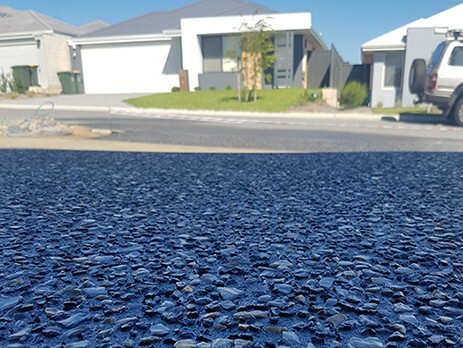 Exposed aggregate is incredibly durable and can withstand Mother Nature and heavy traffic. However, you may need to wash the concrete occasionally. It is also a good idea to consider applying a transparent concrete sealer. This will prolong the lifespan of the concrete and protect it from other problems, such as stains and abrasions. Sealers can also intensify the colour and make the concrete’s appearance so much more dramatic. All set concrete is prone to some problems, so knowing how to repair it is vital. In order to repair exposed aggregate concrete, you’ll first need to clean the surface. Scrubbing or blasting will work. After that, it will be essential to lay new concrete and repeat the exposing process. 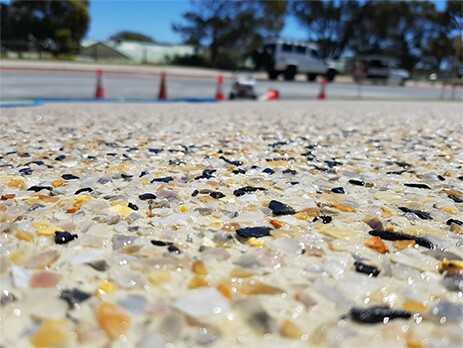 Aggregate concrete is uniquely installed to make the aggregate – sand, rocks and pebbles embedded in the concrete – visible on the top layer. The installation process is slightly different than installing traditional concrete in a traditional sense, as it requires scrapping off the top layer of concrete to expose the aggregate. However, the installation price for the traditional concrete and aggregate concrete varies only slightly, this is due to pre mixed exposed aggregate from suppliers. The price depends on a variety of factors, including surface area, colour and type of aggregate, labour rate and preparation requirements. The best way to get the actual price for exposed aggregate is to contact a concrete company that offers this service. Most of these companies offer consumers free quotes, so they can get an idea of the overall cost. To lower the overall cost, consumers will have the option of choosing the most affordable aggregate and a concrete company that offers reasonable labour rates. Can Aggregate Concrete Be Done As A DIY Project? In short, No! As with any type of renovation or home improvement project, aggregate concrete can be installed as a DIY project. However, the proper tools, equipment and skills are required to ensure a positive outcome. Individuals who possess these requirements can very well pull the installation process off without a hitch. But, there are several things to consider, before you actually agree to tackle such a project. One thing is for sure, if you are looking for a speedy home improvement project, going the DIY route is not the option. The best way to approach such a project is to break down each step to see if you have what it takes to complete it in a timely and suitable manner. Remember, the area must be prepared correctly, before you can move forward to the installation. The excavation will probably be the most difficult part of the project, since it requires physical labour, special equipment and tools. Once you become familiar with each step of the installation process, it will be time to start gathering the materials needed for the project. Conduct extensive research on the materials available for the project, before you start your shopping expedition. Being fully prepared will ensure a positive outcome.